Named after the beautiful but enduring Norwegian mountain range our wood burning, multi-fuel, electric and gas stoves, fires and fireplaces come from 60 years’ experience crafting innovative, high performance heating products built for the harshest Arctic winters. 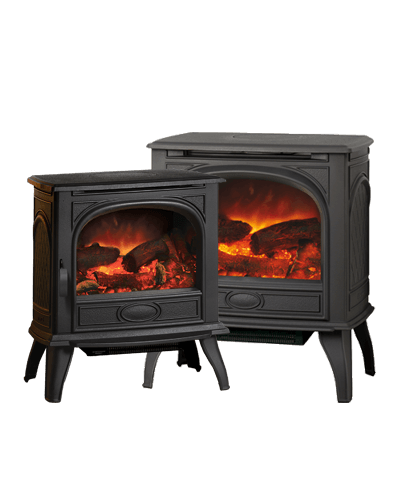 In fact, Dovre's manufacturing expertise with premium grade cast iron is such that all cast parts on their wood burning stoves and fireplaces come with a 5 year guarantee. With expertly crafted wood burning and multi-fuel fires and stoves as well as highly convenient gas and electric models, there is a Dovre for every home. 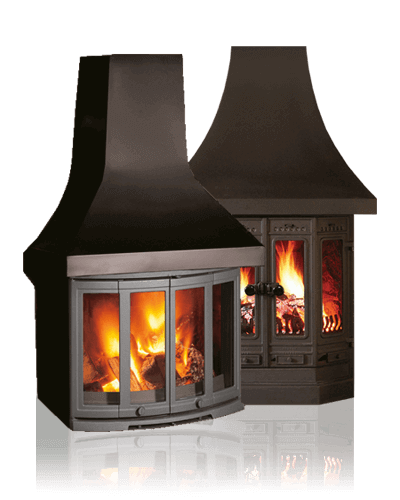 A comprehensive collection of classically designed cast iron stoves, incorporating the atmosphere of a real log or smokeless fuelled fire. Dovre's contemporary stove range is suited to homeowners looking to incorporate a stove into a living space with a modern look. Our selection of impressive contemporary wood burning and multi-fuel fireplaces will add a new dimension to your home. Wood and multi-fuel fireplaces can be built either into a fireplace or combined with optional canopies to create a stunning centrepiece. Each Dovre gas fire benefits from the latest optional remote control systems that allow complete control from the comfort of your sofa. 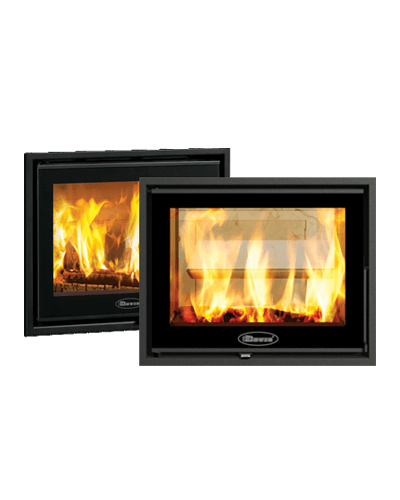 These electric stoves boast glow and flame effects, individually hand painted logs and remote control. ... made in our foundry, our wood burning, multi-fuel, gas and electric stoves, fires and fireplaces are cast with absolute precision for exceptional heating performance. Each of our stoves and fires begins its life in our foundry. Firing at up to 1500°C, furnaces melt down the raw materials to make high quality cast iron for our wood burning stoves and fires. Moulded with absolute precision for strength and longevity, the cast iron used in Dovre products has excellent durability and thermal qualities. Radiating heat long after the fire has died, our cast iron stoves and fires retain their shape even after years of use. Thanks to its versatile nature, cast iron can be crafted into a huge variety of shapes and textures, bringing beauty and presence to your interior whether traditional or contemporary. 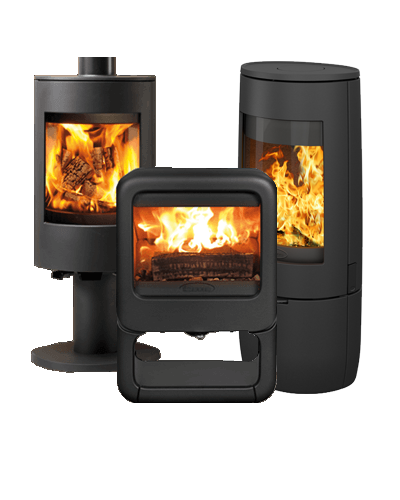 Whatever your choice - wood burning, multi-fuel, electric or gas stove – your cast iron Dovre stove or fireplace will be built to the uncompromising standards you would expect from our Scandinavian heritage. Dovre products are only available from Expert Independent Retailers who will ensure your multi-fuel or wood burning stove or fire is both appropriate for your home and fitted correctly. 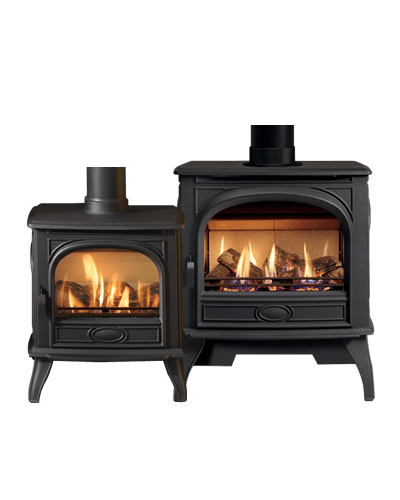 Your Dovre retailer will provide you with a Five Year Warranty for your new stove’s castings and a Two Year Warranty on steel parts and gas and electric ‘engines’ used in stoves and fires. 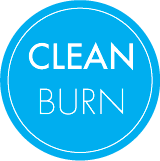 Some Dovre wood and multi-fuel stoves burn so cleanly, they meet proposed 2022 Ecodesign air quality standards. 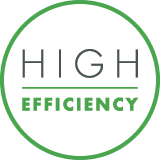 These low emission products produce minimal levels of carbon monoxide (CO), nitrogen oxide (NOx) organic gaseous compounds (OGCs) and particulates (PMs), and are HETAS accredited as SIA Ecodesign Ready and even DEFRA Approved. 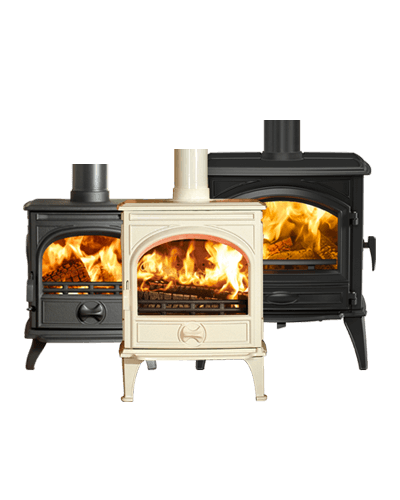 All solid-fuel models burn wood or multi-fuel with outstanding efficiency, and are rated as either A or A+ energy class appliances according to European energy labelling standards. 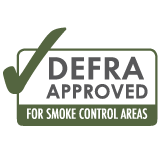 Our eco-focused approach to stove and fire design means that many models are DEFRA Approved which means they are suitable for burning wood in urban areas. 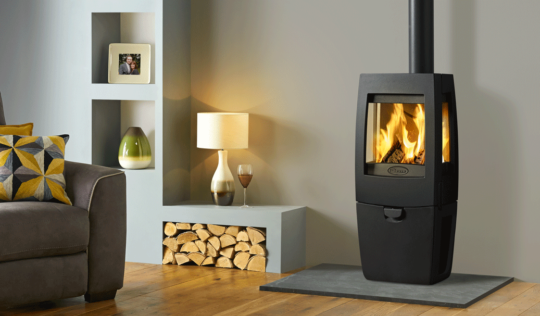 Signature styling and slim proportions make the Sense range an attractive heating solution for those looking for an ultra-contemporary wood burning stove.